Recently, I received two offers to write for an advertiser, in which it required me to add photos to my post from my own screen shot. I took the picture, uploaded to my Picasa Album, and followed Social Spark direction to the tee, plus watched their instructional video more than 10 times. Nothing worked! The picture wouldn't show up! I failed miserably! I then upload that same photo to my Redgage account, copied the URL, and tried to upload it into my Social Spark post! Again, my photo showed a big X. Frustrated after 30 minutes of busting my brain, I decided to just give them the links to where my photo resided. Well, they rejected the post, and insisted on having the photo embedded. I got to the point where I just wanted to throw in the towel. Then PhotoBucket came to mind. I uploaded my screenshot, and PhotoBucket provided me all the links that I needed. 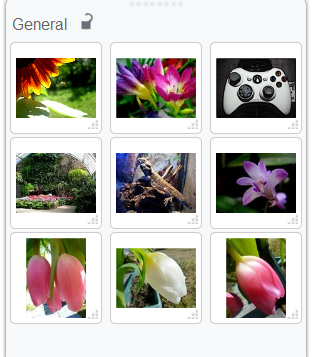 I chose the HTML code option, and went into my Social Spark HTML source to embed my picture. It worked like a charm! If you ever have to add a photo to your Social Spark post, just opt for this easiest way to go about. 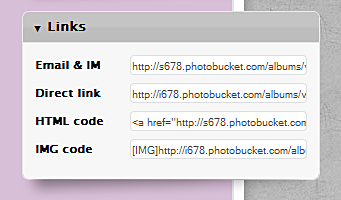 PhotoBucket really came to my rescue, helped me complete my assignment, and saved me a huge headache! Leave it to you to figure it out!! Good job. this is very helpful post, Icy. I usually just use my blogger links to post images in social spark, now, i can go to photobucket also as an option. Yes, I went through this too. I use Photobucket a lot, when Blogger went bizzert and all our photos turned black, and as always, the direct link on Photobucket is the best way to upload the photos to the SSpark posts. This post has helped me a great deal today. Thank you very much. Huge help to me! Thank you so much! Glad it helped! Thanks for visiting! Thank you so much!! You rock!! thank you, you are a lifesaver! My pleasure..I am glad it helps! Exactly what I needed to know. THANK YOU!